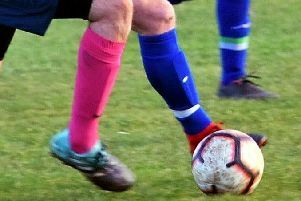 It was league games all the way in the North Northumberland League at the weekend, with Newbiggin cementing their lead at the top with a 3-0 win away to Wooler. There were also wins for Lowick, Alnwick Town Development, Alnmouth and Craster/ Embleton. Wooler created plenty of chances but failed to make the most of them as the league leaders continued their unbeaten start to the season, making it 12 wins out of 12. Drew Tipple gave Newbiggin a 10th-minute lead with Liam Halliday doubling the advantage after 20 minutes. Just before half-time, a defensive mix-up by the home side saw Ross Muter add a third for the visitors . The second half was close with neither side able to add to the scoreline before the final whistle . After a close first half, a Mark Dunlop goal separated the sides at half-time . After half-time, Amble created chances but an Alex Jamieson goal extended the lead with Dunlop Miguel Freire and Keiran Bowell all netting before the final whistle to complete the win. In a hectic first half, Alnmouth took a two-goal lead through Ashley Lalley and Stephen Shendon before two quick goals from Jacob Wallace saw Amble draw level. Alnmouth regained the lead as two further goals from Stephen Shendon put them ahead at half-time. Amble started well after half-time and Michael Carr netted to reduce the arrears. Alnmouth hit back to extend their lead through Glen Robson while a Luke Lawrence strike saw Amble net a fourth. An Owen Robson goal then ensured the win for Alnmouth. Alnwick ensured a comfortable win as they led by two goals at half-time. Gary Brotherton scored for the home side during the second half but Alnwick netted another three to take the points. Goalscorers for Alnwick were: Paul Muers (3) plus two from Thomas Forster. An entertaining game saw Bedlington play well throughout but a sound defensive display gave the visitors the points at the final whistle . The teams were level at half-time with Jack Crews and Richard Stanwix netting during the first half. In the second half, goals from Josh Harrison and Harry Woolhouse saw the visitors pull ahead with Scott Forster netting a second for Bedlington . A second goal from Woolhouse ensured the win for the visitors . 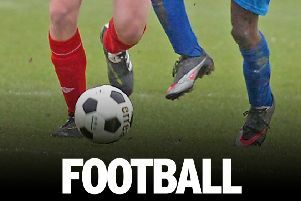 League (2pm KO) – Amble SC v Craster/Embleton; Amble Masons v Bedlington Seniors A.
Robson Cup Prelim (1.30pm KO) – Wooler v Alnwick Town Dev; Alnmouth United v Ashington Town; North Sunderland v Lowick.